Looking to make travel even that much easier? 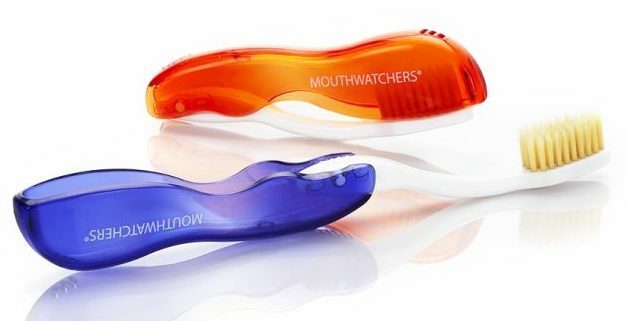 Pick up the Mouth Watchers Travel Toothbrush! I am an avid electric toothbrush user, I use my electric toothbrush at home but I also bring it on vacation with me. Talk about a bulky item to pack! For mouth health not only do you have a toothbrush you also have toothpaste, mouthwash, and floss. I have come to fall in love with the Mouth Watchers travel toothbrush which is collapsible and folds to be the size of a travel toothpaste. I have to say I really am not a fan of using a regular toothbrush and much prefer an electric toothbrush because I feel it gives me a better clean. That's not the case with Mouth Watchers! 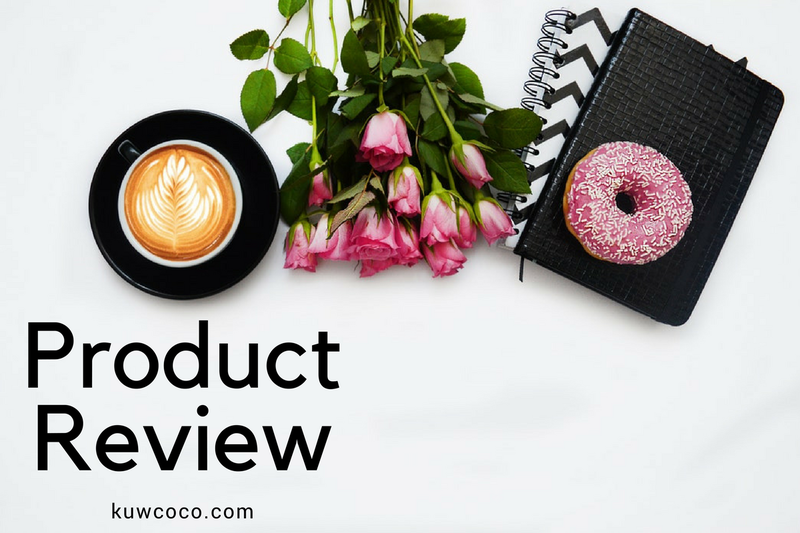 Let me tell you a little bit about the technology that Mouth Watchers has that makes you feel like you get a dental cleaning every time you brush with these brushes. "A single toothbrush is home to millions of harmful microorganisms. Bacteria thrive on a toothbrush after use. 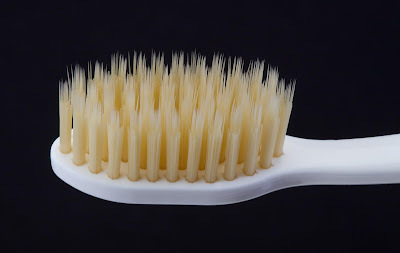 In a warm, moist environment of an average bathroom, bacteria on your brush can double every 20 minutes resulting in as many as 100 million microorganisms on your toothbrush. This bacteria can lead to illness, cavities and gum disease. Mouth Watchers innovative antimicrobial bristles eliminate 99.9% of bacteria build up on the toothbrush bristles. Using patented technology, silver suppresses a bacteria cell's respiration and metabolism, thus inhibiting cell growth that normally causes infection, odor, illness, etc." "Superior dual action flossing bristles reach plaque and food that other brushes miss. Revolutionary flossing bristles - long, soft dental floss bristles for cleaning between teeth and in hard to reach locations; thicker, harder inner bristles ensure complete cleaning. Extra soft bristles are great for sensitive gums and braces. Made from advanced PBT (polyester) plastics, these bristles outlast less expensive nylon bristles found on competitive toothbrushes. Mouth Watchers patent pending flossing bristles are 10X thinner than bristles on ordinary toothbrushes and 1 micrometer at the tip." With all of this incredible technology, you can finally ditch your electric toothbrush and get your dental cleaning without the dentist. Mouth Watchers has a wide selection of brushes for you to choose from for an extremely affordable price. One adult manual toothbrush is $4.99! You really can't beat the price and the quality of these brushes.